Today in this lesson, I’m going to go over how to create a fairly interesting 3D asteroid field using After Effects and Element 3D from Video Copilot. We’ll also take a look at lighting the scene, building the planet, and creating an atmosphere. With some clever tricks and experimentation, you can create a pretty dynamic and massive space environment, great for your short sci fi film or project. One of the biggest flaws in my demonstration is the parallax, which is why I really emphasized the size/distance in Z space for the planet and asteroid. The planet should barely be moving due to the distance and sheer size of the object, whereas the asteroids should be moving a bit faster since it is closer to the camera and is smaller. These are the kinds of things you want to experiment and tweak to get a more realistic movement. For a more realistic approach, you may want to create some shadow rays for the asteroids considering the sun is extremely bright in the background. You can do so by duplicating the asteroid layer, applying Shine or Radial Blur, then place the shadow layer under the asteroid layer for some dramatic shadows. To really create more volume in the scene, try adding some light dust using Trapcode Particular. You can do so by creating a large emitter space, changing the particle type to Cloudlet, then turning down the opacity. Of course you’ll need to play around with some of the physics and velocities. Finally, light and color grade the scene a lot better. I did everything very quickly for demonstration purposes, but you’ll definitely want to play around and experiment more. Have some fun! If you create anything awesome or add on more stuff, let me know! If you have any questions or comments, leave them down below and I’ll get to them ASAP. Also, special thanks to Squarespace.com for sponsoring this tutorial. You can start your free trial and get 10% off by using promo code: DOJO. Hey Joel, thanks for the nice words! Optical Flares has a obscuration feature, which essentially does exactly what you describe. Simply select the Asteroid layer and the flares should be blocked by those elements easily, no mattes. When I woke up this morning, I would never have guess I would have a beautiful animated After Effect 3D World. Thank you so much ! Your tutorials are the perfect balance between complexity and simplicity. The best I have ever seen. About OF, there is an option to track the KLF light, maybe it is a recent update that was not available when you built this tutorial. Anyway, I was just wondering if it was possible to disintegrate the earth with something like Trapcode Form to then make the pieces react to sound. Maybe by applying the earth texture to a spherical formation of Trapcode Particles ? I absolutely have no idea 🙂 and just needed your help. Thank you for the wonderful feedback, greatly appreciate it! It is possible, you simply set the Earth layer as the Color Map for Particular. It’s a complex process to explain, but look at RedGiant’s tutorial on creating a sand disintegration tutorial and you should get a great idea. I really am enjoying this tutorial along with all of your others which I fist discovered on YouTube, it is helping me out a lot with a project I am working on. I do have one question…In the tutorial you used a space background image and stated in the tutorial that you would post a download of it. Can you still do that? Thank you for the kind words! The space assets are now in the description. I learn alot from your tuts! Complex & Simple indeed. Would also like to see you jump back into cinema 4d one day. btw, you got me interested in having a squarespace account lol. Thanks dude! More Cinema 4D stuff to come soon. And you can always start a free trial @ http://www.squarespace.com/dojo! 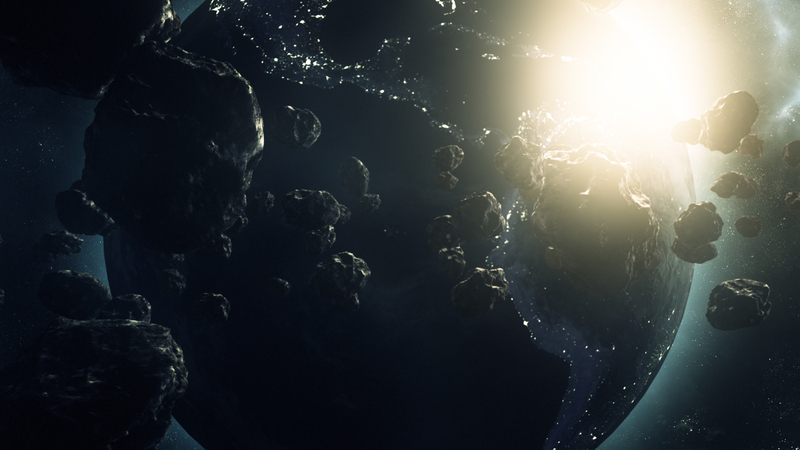 You keep inspiring me :p Doing 2 really simple asteroid/planet comps now.. Thanks for letting me know! Just updated the link, should be working again. Hey, brilliant tutorial. Found this really helpful. I have a question though, I wanted the meteors to slowly form into a piece of text. Is there anyway to make them do that without individual asteroid animation? Like making them follow some sort of mask? If you know how to do this it would be grately appreciated and really helpful! How can I create a planet texture that receives lighting but has say glowing lava that is 100% self lluminated in element 3d. similar to the city lights on the globe in this tut. You’d need to create a Luminance map to tell Element what areas to glow. Very nice and thank you for your feedback! VinhSon, you got an amazing website! Thank you for these tutorials! You are great instructor. Thanks for the support Deon! Whats the zoom shortcut on the keyboard? literally cant figure it out. Press C until you reach the track Z tool. It’s also in the toolbar if you don’t want to use shortcuts. Thank you for the tutorial Vinh, I learned a lot. I guess I need to get more plugins though. Nice, great work dude! Yeah, I hate how AE requires a lot of plugins too. Great tutorial Vinhson! I love VC’s plugins (an Tuts as well) Subscribed to your YT Channel. Keep up the great work! Maybe you could turn inner glow on too to make the result ever more realistic and maybe more nice 😀 😀 😀 BTW the tutorial is very good. Thanks! hi vinhson..all goes well till i add light man ..spot light comes in front of model and kinda feels like its considering element layer 2d only !! . and i only get earth lights like u when i dont push back earth model in z space . what m i doing wrong here ? hi how can i get spacebackground! ?